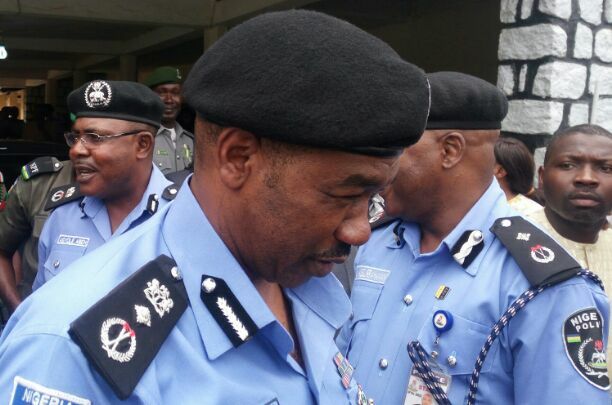 Inspector General of Police, Idris Ibrahim has called on religion leaders, traditional rulers, community prime movers, civil society organizations, media and other Nigerians to rally support for the Nigerian Police to maintain internal security of lives and property of the country and her citizens. The Police boss, who spoke through Deputy Inspector General of Police in charge or Northwest, Dikko Maigari Abbati when he visited Kaduna command on Monday said, the success so far recorded in maintaining peace and security especially in Kaduna command was possible due to healthy collaborations with stakeholders across board. The DIG, who is in charge of Kaduna, Katsina, Kebbi, Jigawa, Sokoto and Zamfara states further disclosed that, the main reason of his tour to these states was to have first hand information of security measures of States command in line with IGP’s mandate with a view to addressing any lapses that may arise. On southern Kaduna, the DIG said, the situation has been brought under control because the NPF is working round the clock to imbue in her men the necessary training that will help them deliver on the mandate before them, quickly added that the police authority is interested in their welfare to make them more productive in their responsibility. He said for instance that, there is serious efforts in the pipeline to provide permanent accommodation for policemen across all cadre noting that, the authority is talking with private investors because it is going to be on Public Private Partnership (PPP) basis in such a way that it will be affordable for all to address the issue of whereto rest after retirement. “My main reason of the tour is to evaluate the security measures of states command in line with IGP’s mandate of total security across the country. “The IGP is quite impressed with your reports which you have been sending. But even at that, we still see it as important to move round and see things for ourselves. We also want to use the opportunity to see and discuss with our partners like religion leaders, traditional rulers, community mobilizers, media and others to see how we can collectively secure our lives and property and sleep with our two eyes closed. “On police welfare, the current leadership is serious about it which cluding promotion and provision of accommodation which are already in the pipeline. But our men have to double their efforts in service delivery because to whom much is given, much is expected”, the police boss added. The Commissioner in charge of Kaduna Command, Agyole Abeh has in his welcome address thanked the state government, men of the command and good people of the state who have gave him the enabling environment to achieve relative peace the state now enjoys. Speaking at the security meeting held in Kaduna with security apparatuses, a traditional ruler, the Agwam Bajju, Dr. Nuhu Bature thanked the police and other security agencies for relative peace the state now enjoy. The traditional father however called on the police and other security agencies to step up their collaboration with non uniform members of the community for effective intelligence gathering.